I have an unfortunate tendency to start many projects and once I am satisfied that they are theoretically feasible, I get bored and drop them. 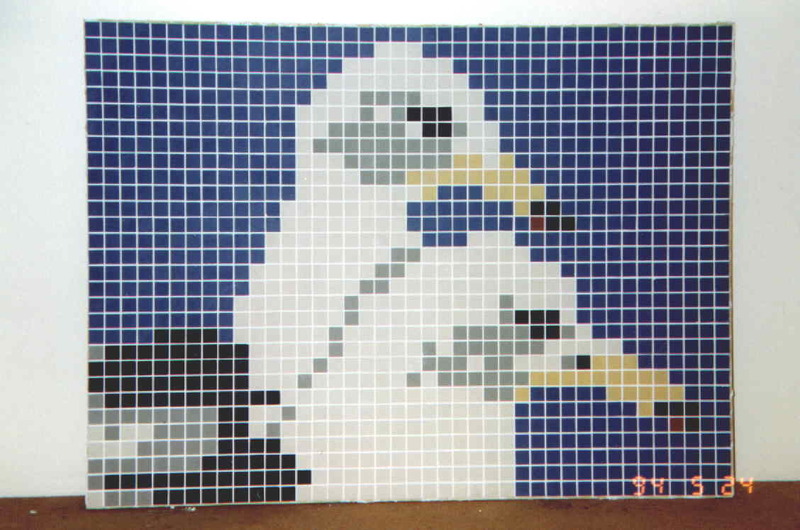 The old mosaic project was one of these interesting, perhaps overly-complicated projects. Nevertheless, it is what inspired my idea of a design for cheap plastic mini-heliostats. The original idea started from the question: If you had a simple pick-and-place robot about the size of a cat, what useful tasks could you give it? 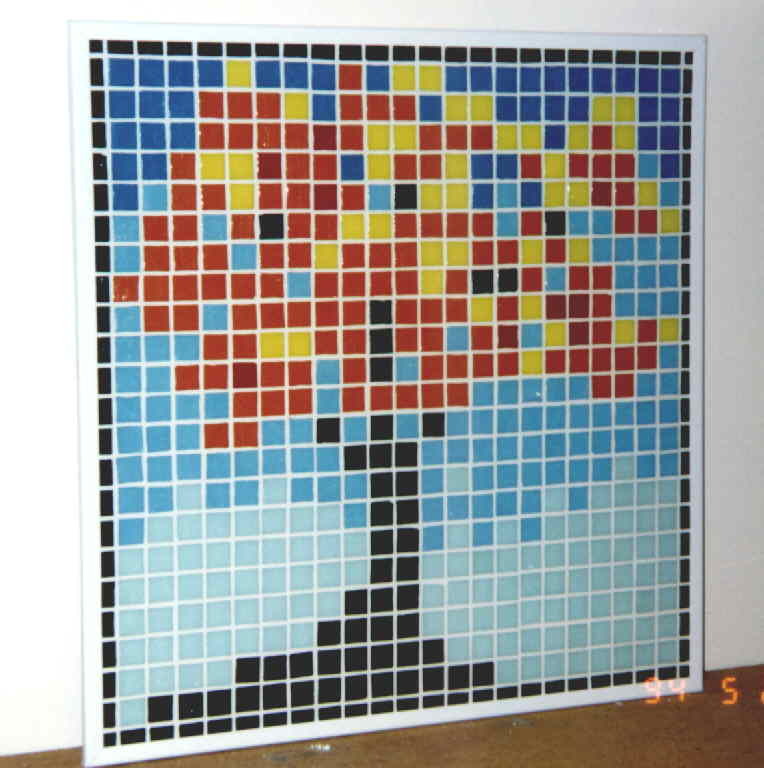 One answer is: Assuming that you are not in a hurry, you could use such a robot to assemble enormous mosaics. 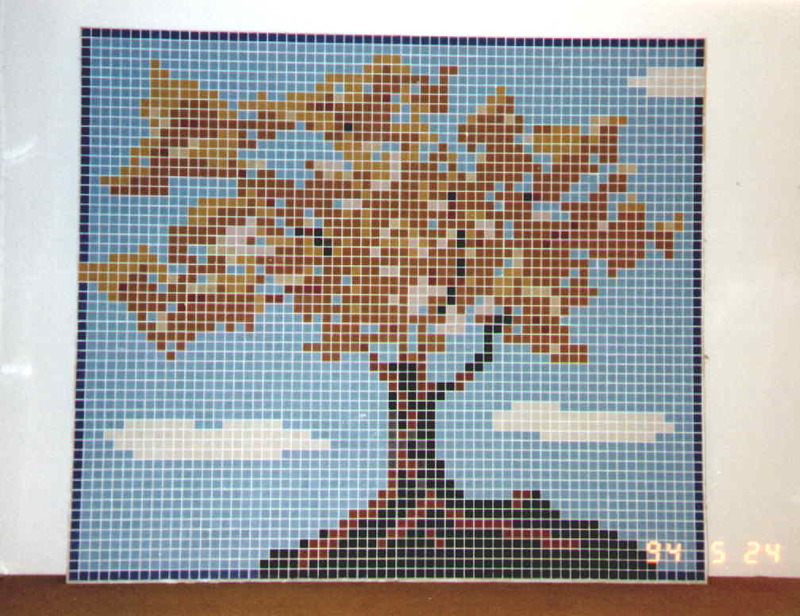 I am an engineer, not an artist, so the first place that I looked for mosaic designs was on my computer. The pixmaps that make up icons and other digital images are just crying out to be turned into mosaics. Can you imagine the Julia Mandelbrot set covering the sides of a skyscraper? It would take a few tiny robots a year or so to pick and place all of those tiles, but the result would be worth it and cost practically nothing if the materials were recycled. At least, that was the idea. 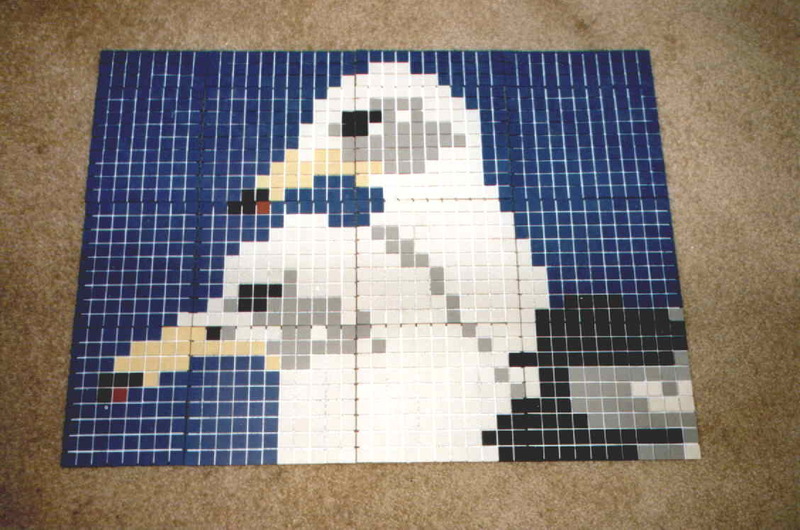 We decided that we should try assembling a few mosaics by hand, just to see how difficult the task was for humans. 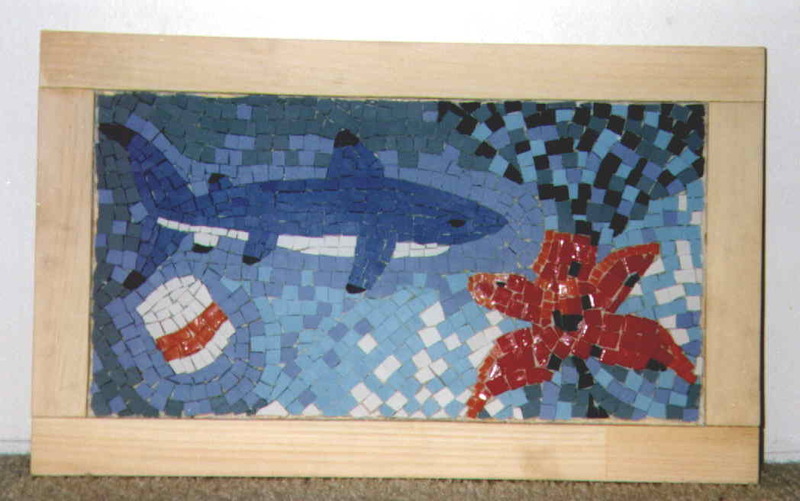 Except for the first "shark" mosaic, all of the mosaics pictured in this page are based on photos found on the Web that have been colour-reduced and drastically scaled-down in size. 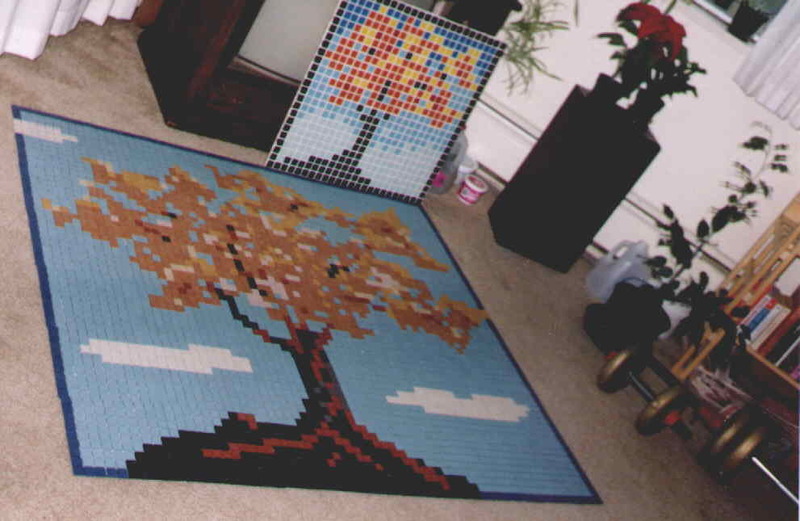 Christiane, my brother Mark, and I had fun for a number of weeks hunting for materials, printing designs (squares with color numbers on them) onto backing paper, glueing tiles to the paper, and masticking the sheets of tiles to their backing boards. The search for tiles demonstrated that unless one lives in Italy, it is rather difficult to find small tiles (less than 1 inch square) in a reasonable selection of colors. I imagined numerous ingenious machines for turning a flow of melted glass into tiny tiles, but I never got around to making any of them. Instead of continuing with mosaics, I became more interested in fabricating tiles from recycled glass. My first few months in Switzerland were spent reading about glass manufacturing and doing experiments with a ceramic kiln that I bought second-hand. I quickly came to the conclusion that the primary cost in making such tiles would not be raw material (clear, brown, green, and blue glass cost very little), but the energy needed to melt the glass. Where to get cheap process heat? From the sun.